Hengesbach has successfully operated in the field of measuring equipment since 1953. The company produces a broad selection of products for parameter levelling, temperature, flow, process pressure measuring, analysis and PC processing, with a high level of quality standards. 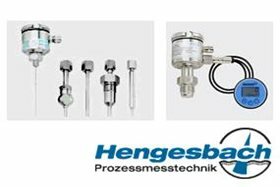 Hengensbach products, packed in industrial housing in the proven stainless steel design, offer modern solutions for high quality measuring tasks.